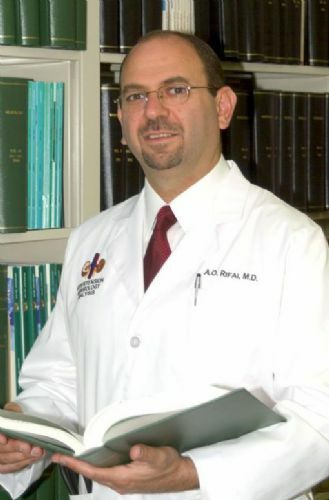 Dr. A. Oussama Rifai is certified by the American Board of Internal Medicine (ABIM) in the specialty of Internal Medicine and the sub specialty of Nephrology. He is also a designated Specialist in Clinical Hypertension by the American Society of Hypertension. Main interest is PREVENTION and EDUCATION. Chronic Kidney Disease: awareness and implementation of all strategies to halt and delay progression to Kidney Failure and Dialysis. Medical Bioethics: and the interaction with Kidney Disease, Dialysis and life support medical technology, VIDEO. Renal Replacement Therapies and Dialysis: The difficulties of Dialysis can be minimized with experience and art, since the science is still lacking in the new dialysis world.